Sensory bins or sensory trays are a great way to contain messy and sensory play and, if you’re lucky, provide hours of entertainment. They can be put together in minutes, used over and over again and encourage imaginative play through open-ended materials and loose parts. I was asked the other day “how do you make a sensory bin?” when discussing with another a parent how much my little ones enjoy them. So today I’m sharing with you how I put together my sensory bins. 2. Then add some tools for pouring, scooping, transferring etc such as spoons, scoops, small pots etc and what ever else you can find – think loose parts that will capture their attention. One thing they don’t have to be is over complicated or expensive. A quick search on Pinterest will bring up some very beautiful sensory bins but with them often being destroyed in seconds this seems almost pointless to me. Instead I try to aim for bins that can be created quickly and use things I already have around the house. I usually have one ready to pull out for those times when the Little Tots need a quiet calming activity or we’ve had to change our plans due to illness or weather etc. What to use as a Sensory Bin? Firstly you need something to use as your sensory bin. Our favourite one is actually a cat litter tray (unused of course) that I purchased from the pet shop for about £2. I also have a few Ikea trofast draws (like the one below) as well as a large clear toy box. Ideally your sensory bin needs to be deep enough to contain (most) mess but not to deep that little hands struggle to access it. to do sensory play on a much large scale sometimes and this always seems to make it more fun – click to visit all our Tuff Tray ideas. Sometimes my sensory bins don’t have any themes at all and just consists of something very simple such as pasta or water and some scoops. Most of the fillers can be re-used over and over again to prevent wastage. When we’ve finished with a tray I bag up the fillers in ziplock bags ready for another day. Things such as rice, beans, oats etc can be used multiple times and I’ve had some of mine for years. Here’s just a few of the ones we’ve made so far…..the list keeps on growing though. As well as lots of messy, sensory and imaginative fun sensory bins are also a great learning tool for babies, toddlers and preschoolers. Being a childminder I have to track children’s development through the EYFS using the 7 areas of learning and development and I find a sensory bin is often a great way to cover all 7 areas. Communication & Language – sensory bins are a great way to learn new words, model language, follow simple instructions (can you scoop up the rice). Physical Development – one of the biggest benefits of sensory bins is working those fine motor skills picking up the bases which often tend to be quite small. Also practicing pouring and scooping to demonstrate control in using tools. Personal, Social & Emotional Development – learning to play alongside other children, or with an adult or even independently. Maths – sensory bins offer so many ways to develop number skills such as counting, ordering, sequencing, making patterns, counting groups of objects, arranging by size and basic adding and subtraction. Literacy – some sensory bin fillers offer a great way to practice early mark making such as shaving cream, sand or flour. Understanding the World – sensory bins based on the seasons help children understand the world around us as well as any based on celebrations and festivals. Expressive Arts & Design – describing the textures and sounds of the sensory bin, taking part in imaginative and creative play. Have you made any sensory bins recently? 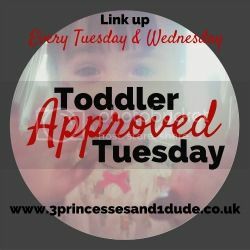 We would love to see them as we’re always looking for new ideas or if you want some more inspiration check our our sensory bin archives or our Sensory Bin Pintrest Board for lots more ideas.